Thick dense deciduous forests teeming with diverse wildlife, mighty roar of Royal Bengal tigers, enchanting nights with different sounds of various animal calls, a clear sight of a galaxy of a star studded sky, a vivid view of sheer cliffs of Shiwalik mountain ranges and wonderful feeling of serenity - You would experience all this when you are at Jim Corbett National Park. Jim Corbett National Park is the first national park of India and natural habitat for several species. It is a perfect destination for people who are adventurous, and like to get wild between the wilds. What makes this national reserve forest the centre of attraction for tourists worldwide is its mesmerizing landscapes and diverse wildlife. The inception of Jim Corbett National Park took place in 1936. Although the natural exceptionality of this park was recognized long ago, it attained the degree of being the first national park in mainland Asia in 1936. At first, the name of the park was Hailey National Park, named in the honor of Sir Hailey, the governor of united provinces. After Independence, it was changed to Ramganga National Park, and finally in 1957, it was changed to Jim Corbett National Park after the name of a legendary hunter, a wonderful naturalist, a vivid writer and an eminent photographer-Edward James Corbett. 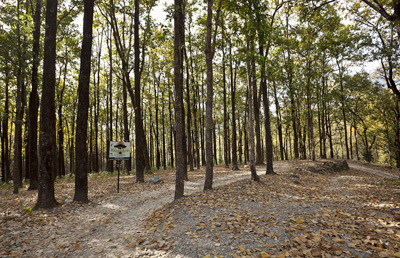 Jim Corbett played a vital role in setting up the park and distinguishing its boundaries. Jim Corbett National Park is India's first national park and sanctuary to come under Project Tiger in 1973 with the aid of World Wildlife Fund. 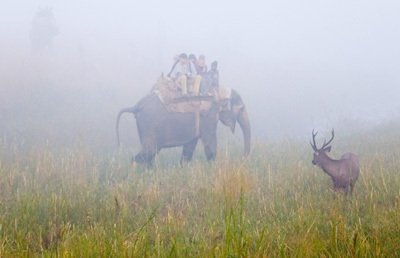 Jim Corbett National park is situated at the foothills of the Himalayas. It lies in two distinct districts, Nainital and Pauri, in the Uttaranchal state of Northern India. It spreads over an area of 521 square kilometers. And, together with the neighbouring Sonanadi Wildlife Sanctuary and Reserve Forest areas, it forms the Corbet Tiger Reserve, covering a complete area of 1288square kilometers. Jim Corbet boasts of panoramic views of breathtaking valleys, gigantic hills, and dense huge deciduous forests. It has remarkable landscapes with river Ramganga flowing besides the forests. The vivid assortment of surroundings comprising damp and dry, mountainous and plain, coarse and gentle, plains and forests is a home of second largest population of free living tigers in the world, Asian elephants, and 600 species of resident and migratory birds. It has amazingly rich avifaunal diversity representing nearly 6% of the total birds species found in the world. The climate of Jim Corbett National Park falls under temperate zone. Although the average weather during summer months is approximately 30 degrees Celsius, but it also touches 40 degree Celsius. During summer months, the scorching heat of sun becomes unbearable for both animals and the inhabitants. And, during winter months, the temperature varies between 5 degree Celsius to 30 degree Celsius. Winter mornings are foggy and quite inviting. Winter months are the best time to explore the beauty of the park. 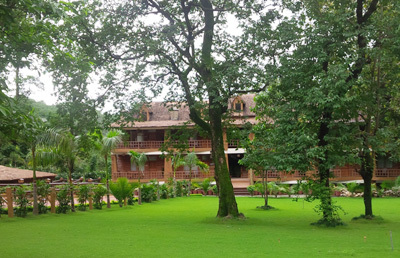 The region of Jim Corbett Park experience heavy rainfall during monsoons. During monsoon months, the weather become quite pleasant as there is a drop in temperature. Monsoon is considered the best time to enjoy the foothills. However, the park remains closed during rainy season because it's the mating season for most of the animals. This is done to prevent external interferences and disturbances. The best time to visit Jim Corbett National Park is from November to June. It remains open for tourists from 15th November till 15th June every year. More tourists flock this area in between December to March as the weather is cold, and the birds and tigers can be best viewed during day time. It is the best time for spotting animals and enjoying scenic surroundings. Jim Corbett National Park's northern areas are surrounded by Himalayan chain, extending from Pakistan, through Jammu and Kashmir, Uttaranchal, Himachal, Nepal. Sikkim, Bhutan to Arunachal. This area of the park is made up of crystalline rocks. The vegetation here includes cold-climate trees such as pine and oak. The main region of the park lies in the outer Himalayan region or Shiwalik region. The Shiwaliks are the lowest tip of the Himalayan ranges. They are lower than the lesser Himalayas. This region is mainly formed of sedimentary rocks. The Shiwaliks are the largest ridge across the park. The ridges are beautifully draped with various types of sal forests and other dense trees. In between the Himalaya and the Shiwaliks lie the elongated valleys. These valleys are called duns. 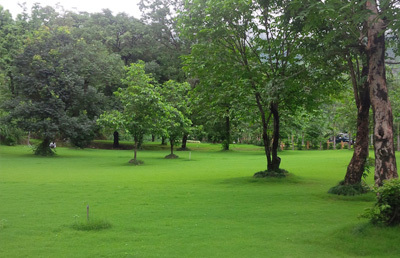 Patli Dun, a dun that occurs in the northern half of the Corbett sets a panoramic view in the park. The different habitat types available in Jim Corbett National Park include mountains, Sal forests, grasslands, khair-sissoo forests and rivers. Altogether there are 600 species of birds, trees, shrubs, herbs, climbers, and ferns in this national park. The most visible trees found in this region include Sal, Sissoo and Khair. If we talk about coniferous trees, there is only one variety of this forest in Jim Corbett. 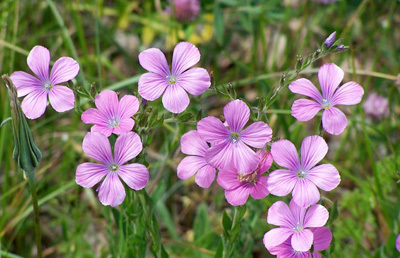 It is Chir-pine and is found on the ridge tops. You would also find other different types of trees here. Some of the popular ones include Bel, Kusum, Mahua and Bakli. living in the perennial waters of Ramganga and its tributaries. Some of the fishes that you would find in rivers are mahseer, goonch, carps and loaches. These aquatic fishes are an important source of food for many animals higher up in the food chain. These fishes are a staple diet of many endangered Gharials, crocodilians, and otters. Also many birds such as kingfisher, terns, shanks and dippers also feed on fishes. Jim Corbett National Park is popular for its dense forests and varied vegetation. The most visible trees include dense mixed sal, Sheesham interwoven with bamboo, tall and short grasses. 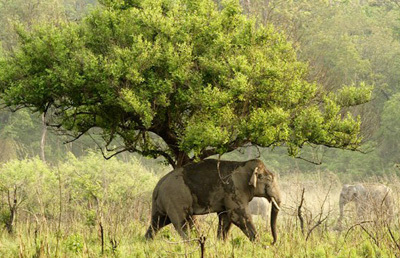 The flora of Corbett offers a favorable haunt for wild animals. Also, you would find other trees such as Jamun, Kanju, and Aamla. Tendu, Bel, Mahua and Kusum. 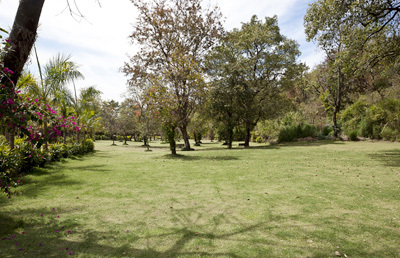 You would also find some artificial planted trees in the park to lend appeal to the forest. Some of them include Teak, Eucalyptus, Silver Oak, and Bottlebrush. Corbett National park, you would find around 51 species of shrubs and 33 species of bamboo. You would also find epiphytes and orchids in the flora of Corbett. 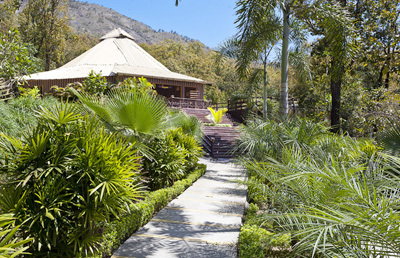 All these types of varied vegetation give Jim Corbett an enchanting view and beauty. throughout the park, but can be easily sighted in Dhikala, Phulai and along the Saddle Dam. Jim Corbett National Park has four species of deer. They are Chital, Hog deer, Sambar and Braking deer. Leopards can be spotted in the hilly areas of the park. Two species of primates, Himalayan goral, wild boar, Asiatic jackal and otters are found in this reserve forest. Jim Corbett is a home for more than 600 species and sub species of birds. The major birds found here are peacock, pheasant, pigeon, and owl. Barbet, lark, myna, eagle, duck, falcon, and bulbul. Corbett is also a famous for its aquatic fauna and reptiles. The most commonly found reptiles include mugger crocodile, gharial, king cobra, mahsheer fish, and Goonch catfish. Corbett has a mixed hill culture of both Kumaoni and Garhwali. The people in this area have a distinctive lifestyle. Life is tough for the folks who dwell in this difficult terrain. As the life here in the mountains is difficult for the inhabitants, worship, fairs, religion and get-togethers play an important part here. Dance and music is the main cultural element here. Some of the most popular dances are Dhol, Jhora, Chanchari, Chapeli and Jhumaila. All the dances and worshipping revolves around Hindu deities and scenes from epics such as Mahabharata and Ramayana. The hill folks use different types of instruments to play music like trumpets, drums, and flutes. Ancient paintings have also been found in this area. Alpana is a traditional painting that is made by women during festivals using natural colors like rice flour, turmeric and vermillion. Women decorate their homes with Alpana during festivals and worships. im Corbett National Park is named in the honor of Jim Corbett who was born in Nainital on 25th July, 1875. From childhood days, he developed a deep knowledge of jungle as he spent most of his time knowing more about the wilderness that lay around in the surrounding areas of Kaladhungi and Nainital. He was a vivid writer who wrote many stories on wildlife. Not only was he a legendary hunter and an ardent write, Jim Corbett was a great environmentalist. He was also a professional photographer and was one of the first individual to capture wildlife on motion film. How to reach Jim Corbett? 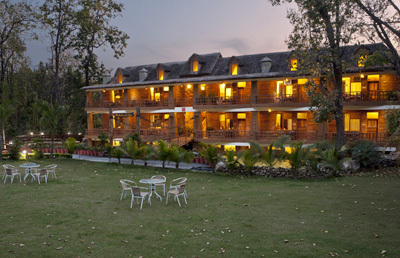 Jim Corbett is well connected with all major cities of India with rail and road services. Ramnagar is the place where you need to reach for exploring the landscape, fauna and flora of Jim Corbett. Ramnagar is well connected with roads to Delhi, Moradabad, Bareilly and Nainitial. You can also reach Ramnagar from Delhi by train. If you wish, you can also reach Ramnagar from Kathgodam, Kashipur or Haldwani. 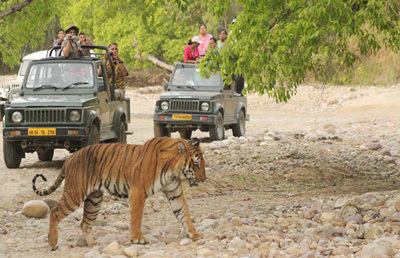 The main attractions of Jim Corbett National park are its breath-taking landscape and its wild life. Safari adventure is also a worth when you are at this famous wildlife sanctuary. It is one of the most convenient ways to view the landscape, and spot leopards, tigers, Asian elephants and other wild animals. Safari adventure is quite enjoyable. The memories can be cherished for many long years. Other attractions include Corbett Jungle museum, Garjia temple, Kyari camp, Sitabani forest reserve, Bijrani, Sitabani temple, Dhangari museum, Sunrise point and the Kalagarh Dam. If you want to explore the beauty of Jim Corbett National Park, you need to get a permit. 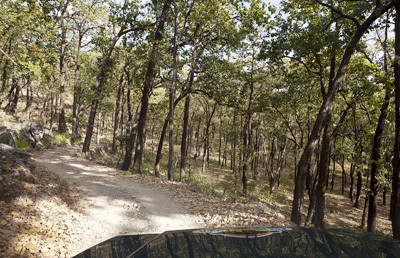 Permits are a necessity for entering Jim Corbett. Day visit permits can be obtained at the respective Entry Gates. But, if you want permits for night stay, you need to get it issued from CTR Reception office, Ramnagar. You are not supposed to move inside the park in your own vehicle. 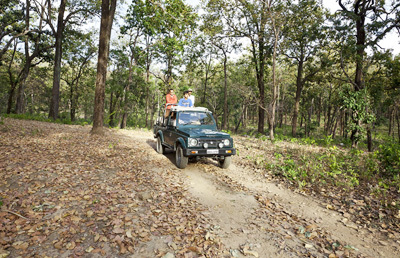 Fleets of vehicles are maintained by the park to help tourists explore Jim Corbett. Driving off track or after sunset is not allowed due to safety reasons. You would also be restricted not to walk or trek inside the park except at certain places. Jim Corbett National Park is the best place in India to have glimpses of variety of wildlife in their natural settings. There are plenty of activities to do at this beautiful wildlife sanctuary.